Morning departure from your hotel/riad in Marrakesh at 8 o’clock and driving across the High Atlas mountains. At panoramic viewpoints, there will be opportunities to stop and take photos. 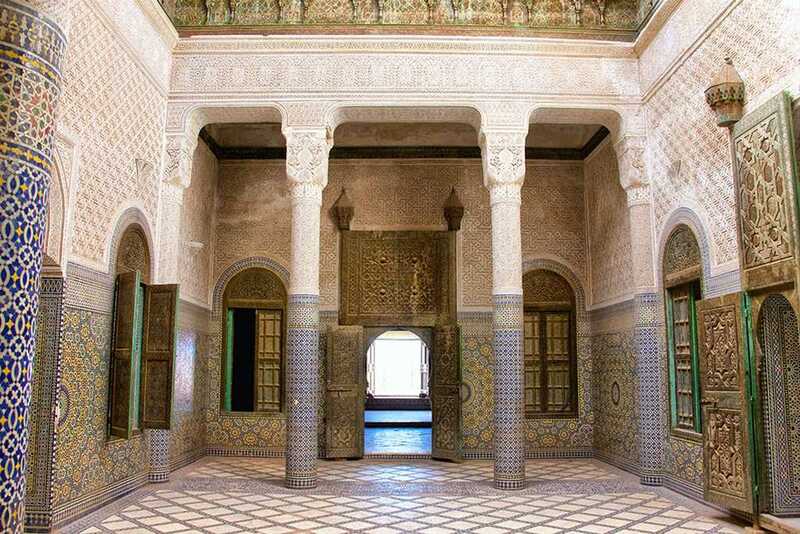 The first scheduled stop is at the Kasbah of Telouet, which served as a palatial residence and the headquarters of the powerful Glaoui tribe. Here you will stop for lunch. 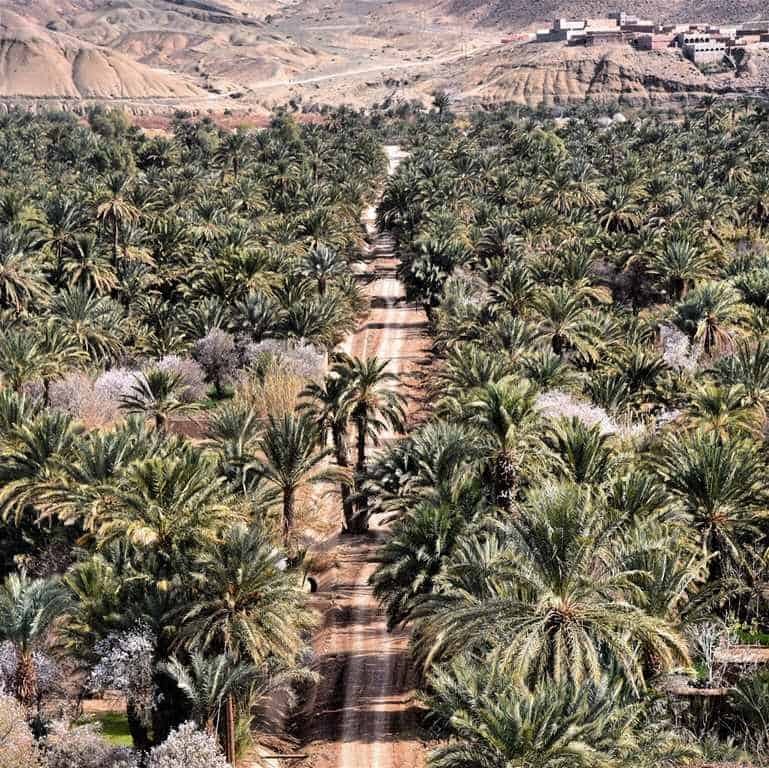 Then the route crosses the Ounila Valley and leads along the stunning road to the Kasbah of Ait Ben Haddou, the oldest and most famous Kasbah in Morocco and a UNESCO World Heritage site. In Ouarzazate you spend the night in a riad. After breakfast, a visit to the Kasbah is planned, before driving off-road further down the Dra’a Valley to Zagora for lunch. In the afternoon, the trip takes us to M’hamid which marks the end of the paved road and the beginning of the desert. 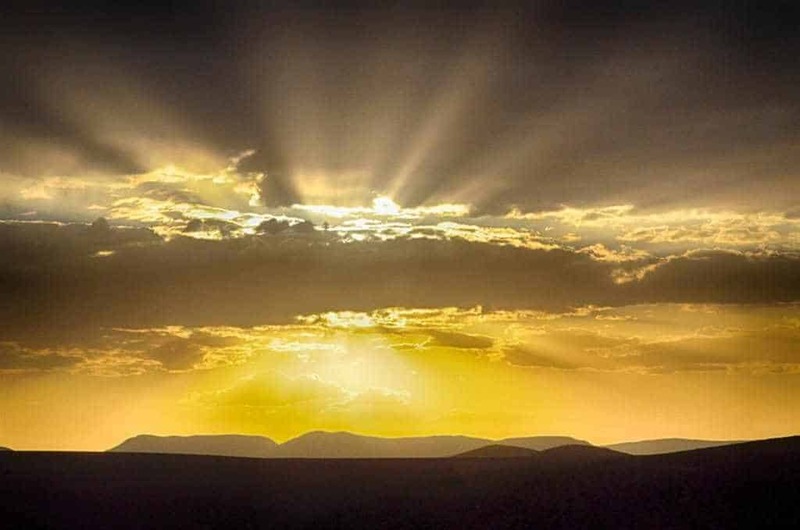 A one to two hour camel ride takes us to the bottom of the highest dune where the view of the sunset is magnificent. The night is spent in a nomadic tent close to the dunes of Erg Lihoudi. After breakfast return to M’hamid, across the now usually dry Dra’a River, to visit the old village. In the afternoon, the 4×4 takes us to the Erg Chagaga dunes, travelling some 60km off-road. 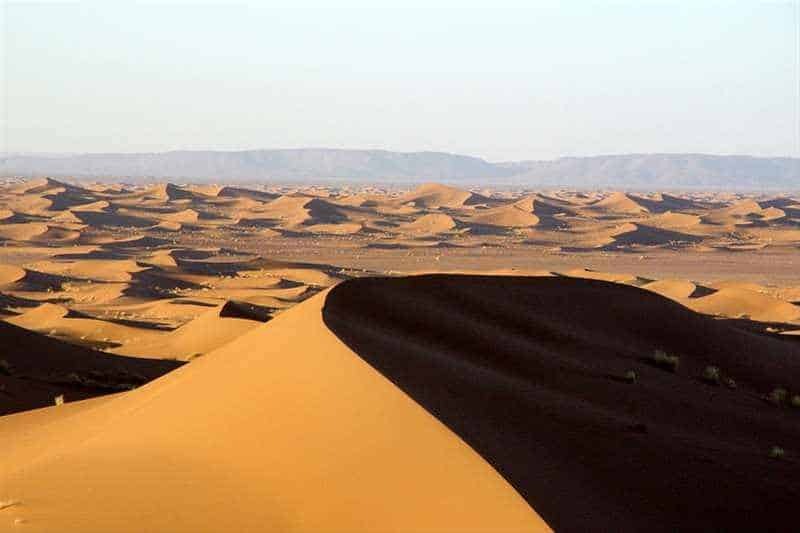 This route passes different features of the desert: ‘erg’, ‘reg’, ‘hammada’, and the Sacred Oasis to dunes far away from civilization, in the desert proper where the silence and the expanse of sand is overwhelming. Here you can enjoy a second camel ride if you wish. Dinner and the night are in a bivouac of nomadic tents. After breakfast we drive another 90 km across the Sahara over the stony desert, “reg” and “hammada” and across the now dried-up Lake Iriqui. In the middle of this lake we can search for fossils. At the edge of the desert at Foum Zguid, we drive north to Taznakht, famous for its Berber gelims and carpets, where we stop for lunch. 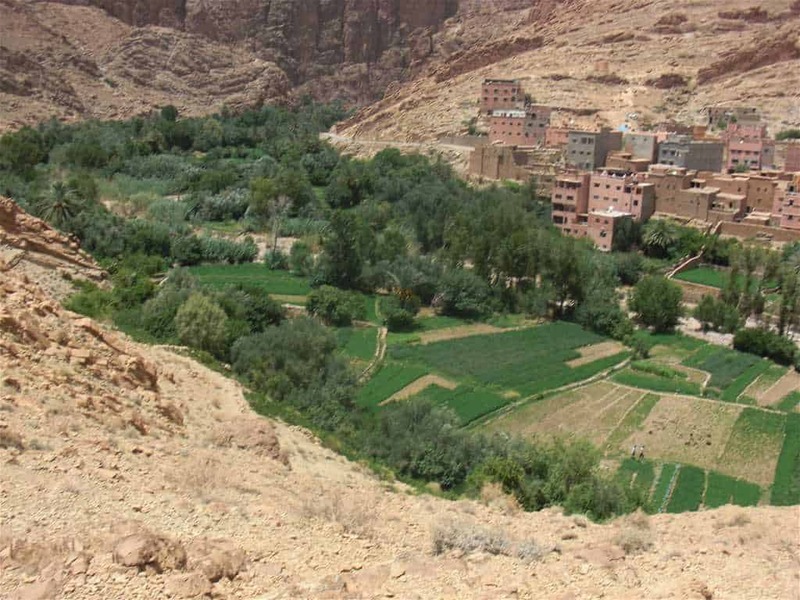 After crossing the Tizi-n-Ikhsane and Tizi-n-Tighatine passes, we reach Taliouine, the heart of the saffron growing region. The road takes us onto to Taroudant, where we stop for the night in a riad. In the morning a visit to the town known as “the little Marrakesh”. It is spectacular for its massive ramparts and beautiful medina. 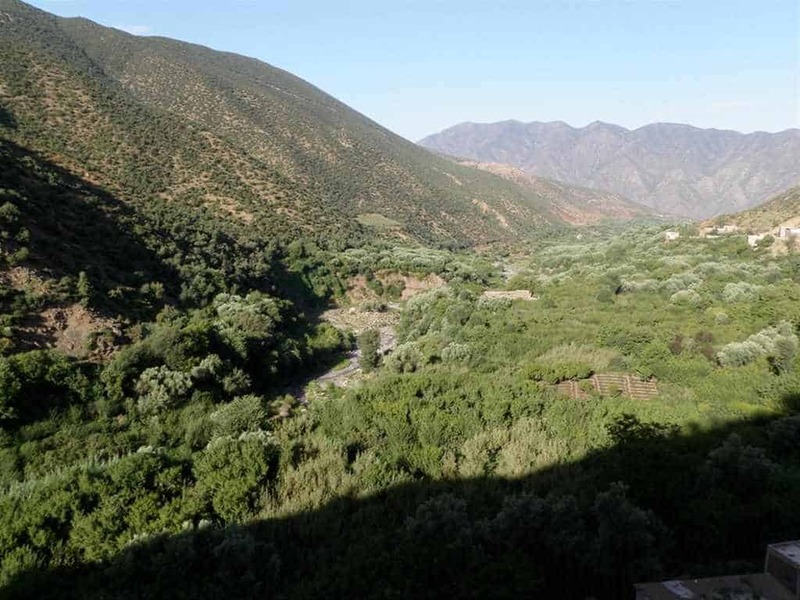 Then we climb back up the High Atlas Mountains across the famous Tizi-n-Test pass, stopping at the Tinmal mosque, which may be visited by non-Moslems. Lunch will be in a mountain restaurant with superb views. From here we continue through the mountains to the village of Imlil, where we stay the night. Here the quiet and beauty of the views are overwhelming. After breakfast, we have time to walk and look up at Toubkal Mountain, the highest peak in North Africa. Passing the Toubkal National Park we reach Asni, a small Berber village, which is famous for its permanent as well as for its weekly soukhs. We then pass the mausoleum of Moulay Brahim, a well-known Moroccan Sufi saint who died in 1661. Here you can have tea with a local Berber family, who will show you the traditional hammam and bread ovens. 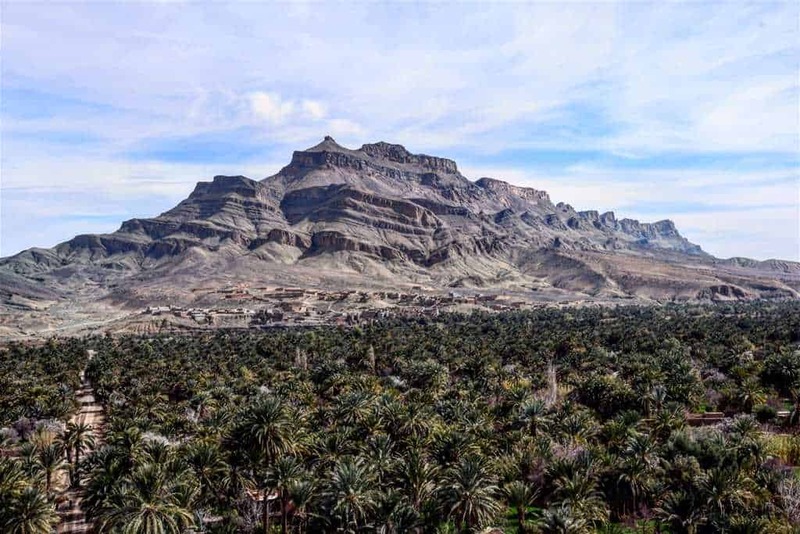 The last Valley of the trip is that of the Lalla Takerkoust reservoir, which supplies Marrakesh and the surrounding area with water from the snow melt of the High Atlas. Here there are stops to take photos of the wonderful scenery over the lake. And then back to Marrakesh. There is a 25% reduction for children under 12 years old whilst we do not charge for children under 5 .The price for trips includes the transport in a private air-conditioned 4×4;Toyota Prado or Mitsubishi Pajero,and fuel. Experienced English-, French-, Spanish- and Italian-speaking driver / guide, all accommodation and meals as well as the camel ride on the relevant tours. Drinks and tips are not included.These prices are liable to fluctuation according to the current exchange rate.